NEW! 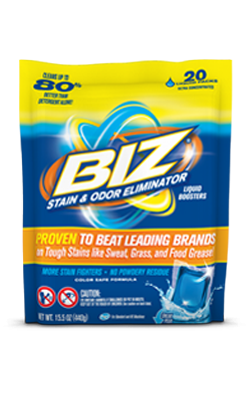 BIZ® Liquid Boosters are high powered liquid detergent boosters that dissolve rapidly in water and don’t leave powdery residue. No measuring, simply toss in with your detergent and watch the stain disappear.